Australia and California, despite being on opposite sides of the planet, actually have a lot in common. Australia, like California, is one of only a handful of regions in the world that have a Mediterranean climate, characterized by relatively warm wet winters and hot, dry summers. 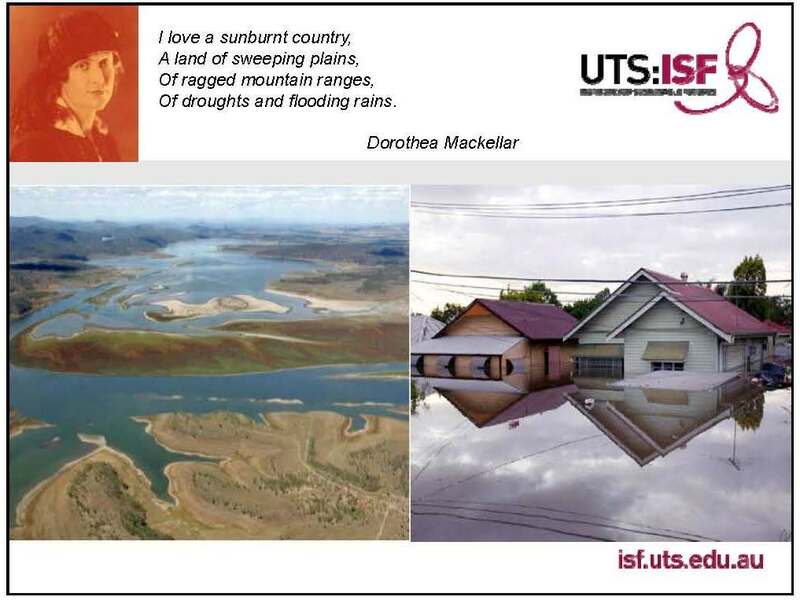 Australia is also accustomed to droughts; in their period of record, a ‘severe’ drought has occurred in Australia on average once every 18 years. Australia endured a severe drought from 1997 to 2012, and by the end of the drought, Australia’s cities and farms had cut their water use dramatically. 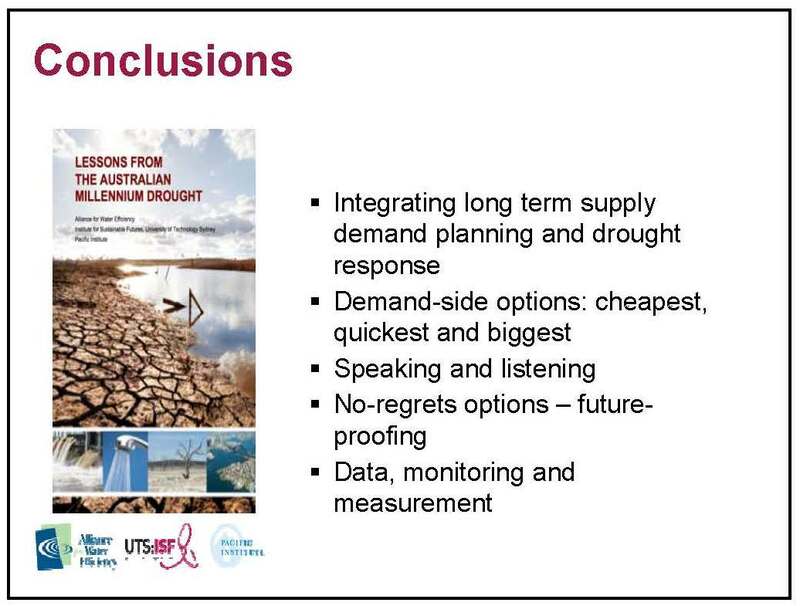 As California endures its fifth year of severe drought, the strategies developed and mistakes made during Australia’s decade-long millennium drought can provide useful lessons for water managers. Earlier this year, researchers at ISF, the Pacific Institute and the Alliance for Water Efficiency released the report, “Managing Drought: Learning from Australia.” The report provides an overview of the key initiatives implemented by Australia’s four largest cities during an extended period of extreme drought, and outlines how those measures could help California through its current water crisis. In this webinar presented by the Alliance for Water Efficiency, Dr. Stuart White, Director of the Institute for Sustainable Futures, and Heather Cooley, Water Program Director of the Pacific Institute present on the findings of the report. The webinar was moderated by AWE President and CEO Mary Ann Dickinson. 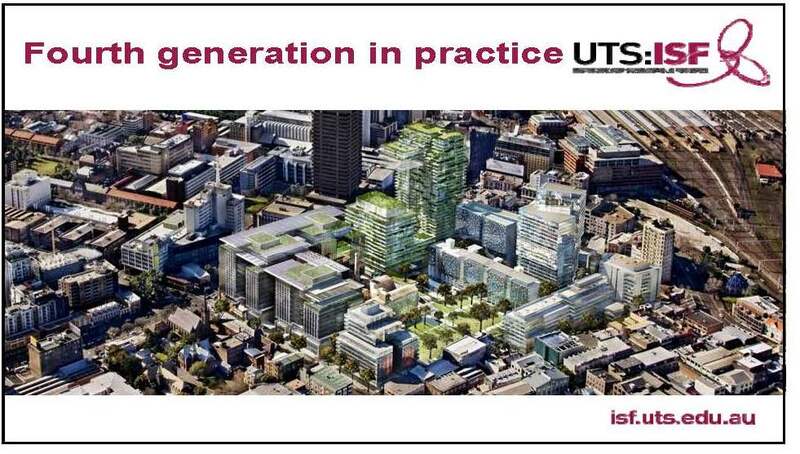 DR. STUART WHITE, the Director of the Institute for Sustainable Futures at the University of Technology in Sydney, Australia. The situation in Australia, as in many countries in the world, is one of extremes. 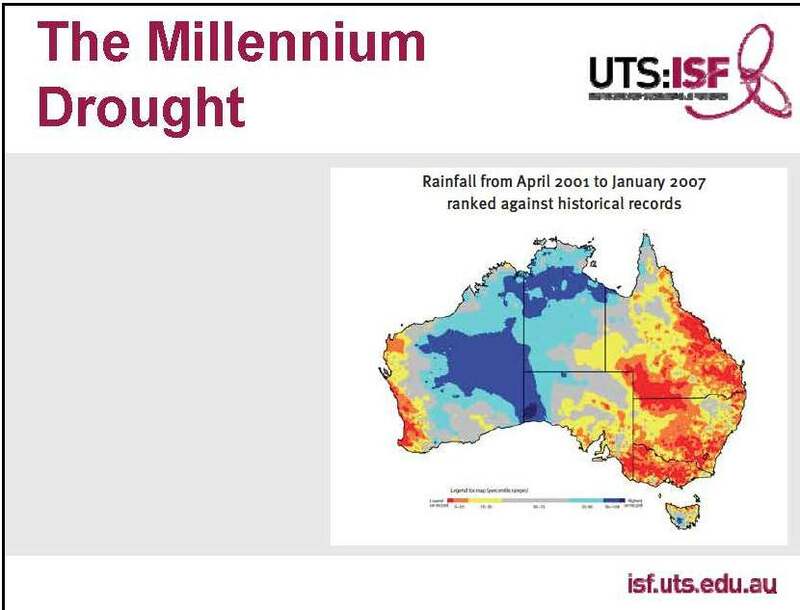 The millennium drought which lasted 10 years ending in 2009 was the worst drought on record in many of Australia’s cities, and it ended with one of the worst floods on record in Brisbane. “Just in that one event, we’re able to see the extremes that we’re dealing with, and of course, we recognize that the uncertainty and the extremes will only get worse with climate change,” Dr. Stuart said. Another important lesson was the importance of the demand side. In Australia, approximately $20-25 billion was spent on supply side options, so it is important to recognize the importance and significance of the demand side opportunities, he said. 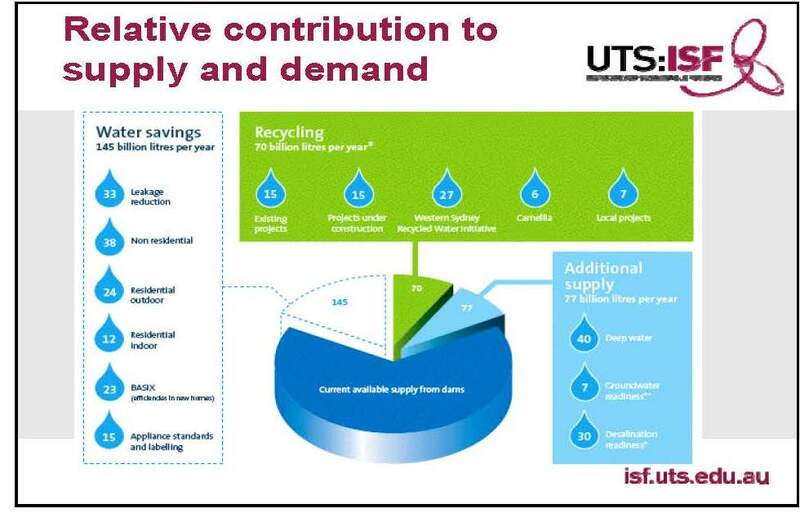 He presented a chart for Sydney showing the relative contribution to supply and demand, noting that the water savings is the largest contributor to future water supply. The efficiency measures ranging from leakage reduction through to regulatory measures, applying standards and labeling, and BASIX – the buildings sustainability index which is a requirement for all new homes to have 40% lower water use than the average which applied in 2004. 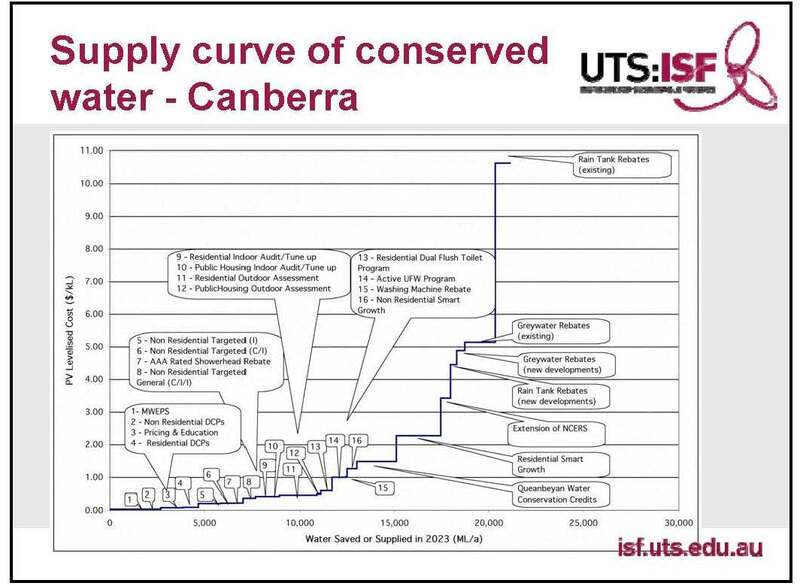 “You can see from this diagram, it is a significant contribution, the major contribution, in fact, to the water supply/demand balance,” Dr. Stuart said. 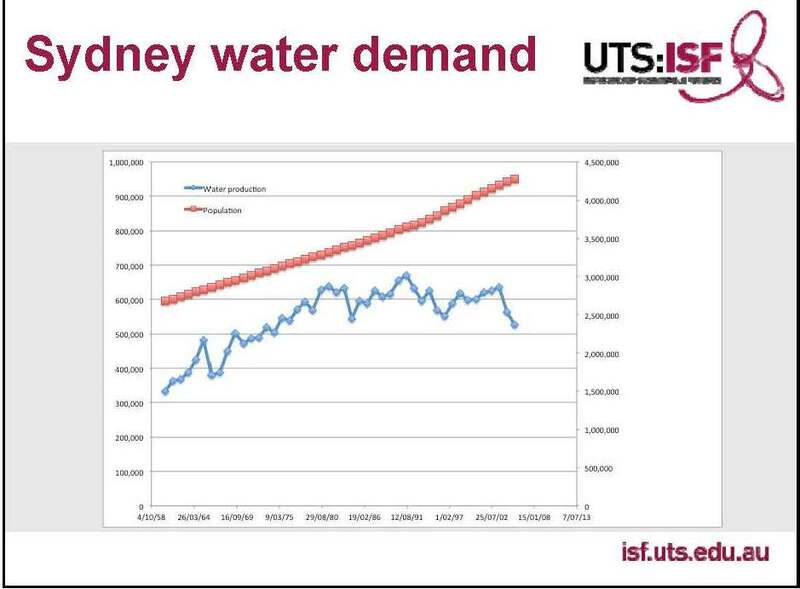 Dr. Stuart presented a graph of water demand for Sydney, noting that the numbers on the graphic are for the total production of water, not just residential, but also losses and industry. 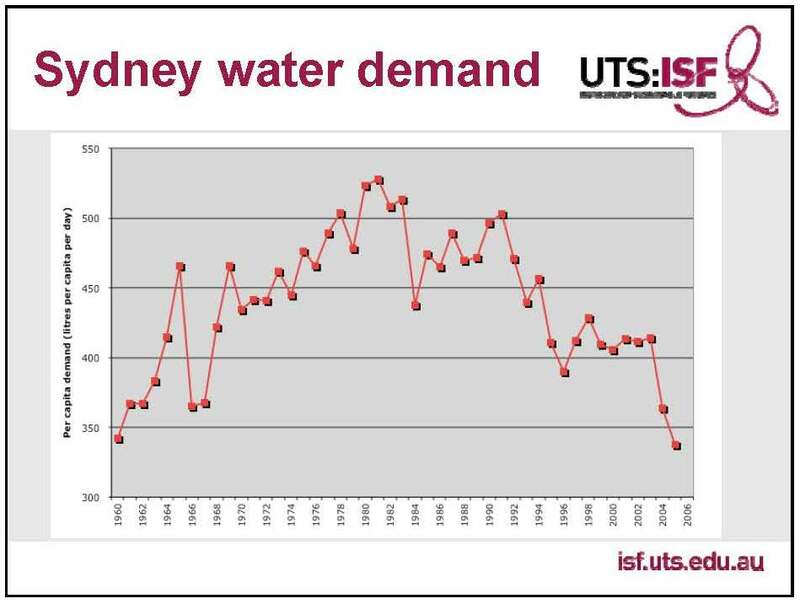 Demand increased during the 1960s as people were putting in place appliances, washing machines and so on, then decreased just as sharply after 1992, the result of pricing reforms and land use changes, but in particular, the most significant factor being the improvement of efficiency of water-using equipment, he said. Dr. Stuart presented a graph showing the detail on toilets, noting that the graph starts with the single flush toilet, which used about 12 liters per flush. He noted that the use of single flush toilets decreased with the invention and the development of the dual flush toilet, an Australian invention. “With the release over successive years of more efficient dual flush toilets, we see the change in the stock of toilets each year,” he noted. He presented a graph of the incidence curve showing the consumption by the different consumption bands and how significantly that was reduced. 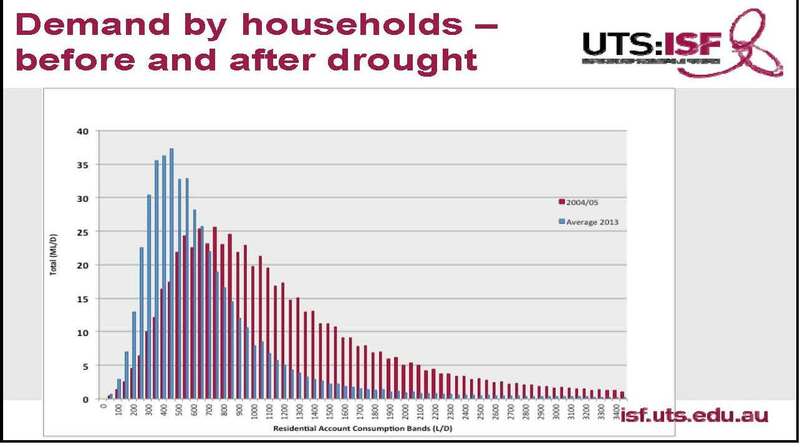 “From a relatively high level, Brisbane had some of the highest water consumption in Australia prior to this time because they came relatively late to water use reform, so you can see the massive change that occurred,” he said. 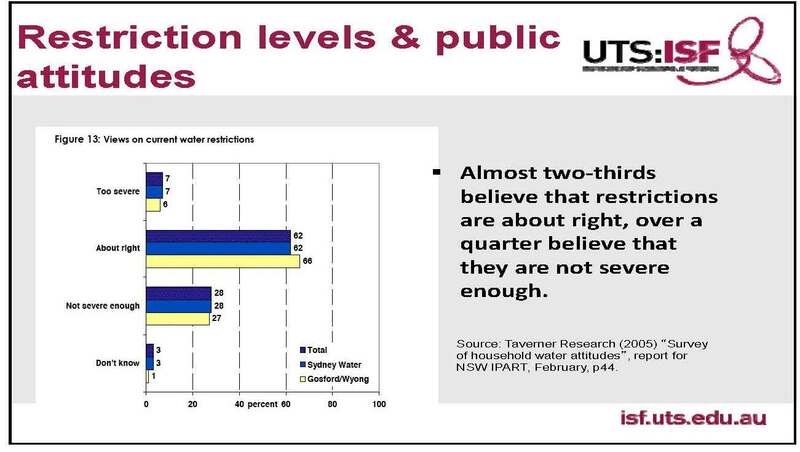 Dr. Stuart pointed out that the water use restrictions and the requirements to curtail water use outdoors on lawns and gardens were quite well accepted across the country, although not everywhere. 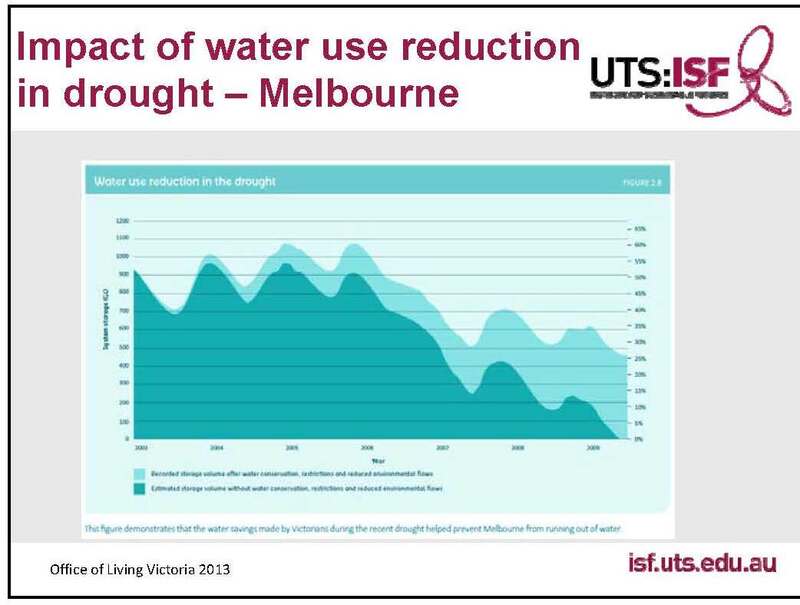 “In some cases, particularly in Melbourne, they’re probably pushed to the edge and probably started to impact on the community rather more, but certainly some of these surveys showed that there was very strong public support for the water use restrictions,” he said. 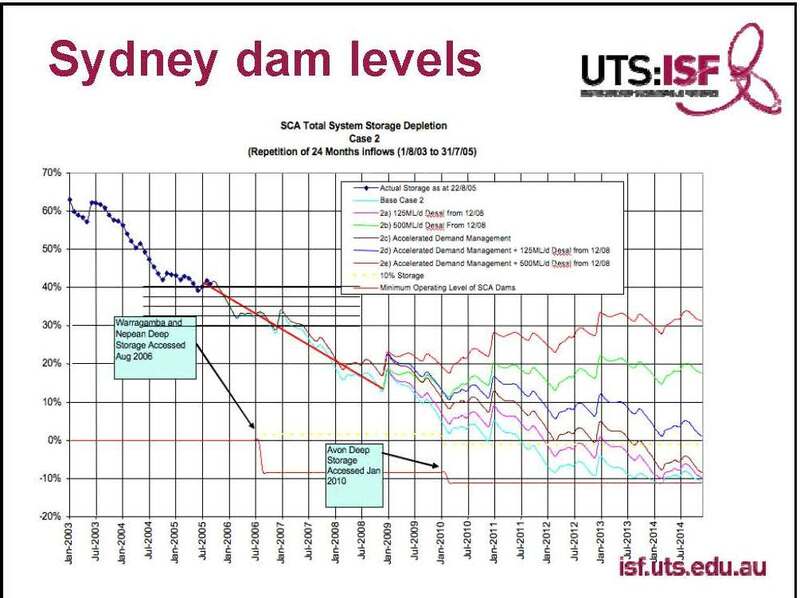 He then presented a graph Sydney dam levels. “A lot of work was done looking at the depletion curves and projecting forward what was the likely depletion from dam levels around the country, then to say, ‘If we were to reduce demand rapidly through contingency options, through accelerated demand management, what would that mean for these depletion curves?,’” he said. 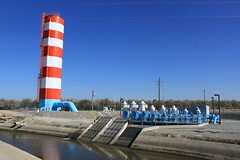 “Another opportunity that we missed was the possibility of putting in place some more future proofed options which represent the new generation of water infrastructure – small scale, modular, localized wastewater treatment and the storm water treatment capacity which is now becoming a part of our infrastructure, but at that time, there were opportunities which were bypassed for that,” he said. “We’re starting to see from some of our research that it’s quite possible that the cost of that 4th generation of water infrastructure – the localized, high efficiency systems – may actually be lower than the current generation of water infrastructure,” Dr. Stuart pointed out. Moderator Mary Anne Dickinson then turned it over to Heather Cooley, the Water Program Director for the Pacific Institute. Heather Cooley began by saying her role today was to translate some of these lessons from Australia for California, although much what has been learned there can be applied in other parts of the United States and other parts of the world. 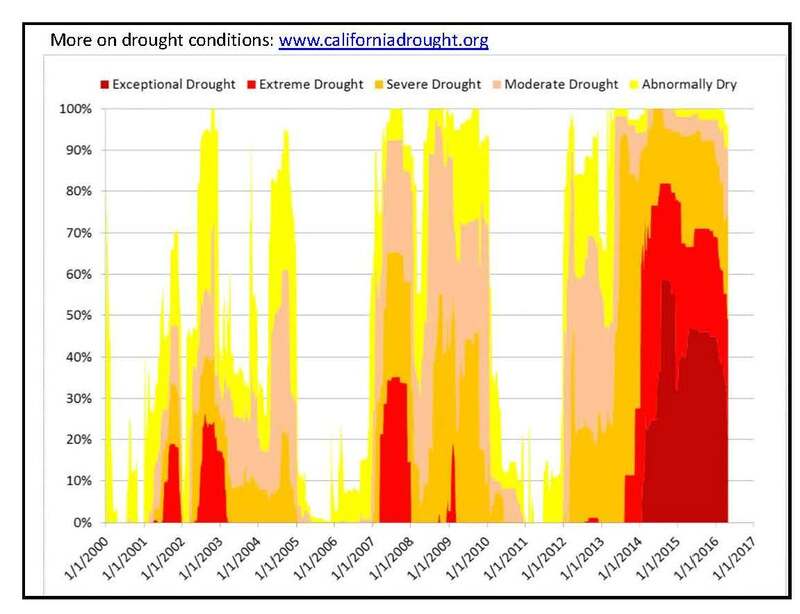 Currently in California, drought conditions have improved for Northern California in particular; the state’s two largest reservoirs were above average by late spring, but other reservoirs, particularly those that are more southerly, like San Luis, were well below average. 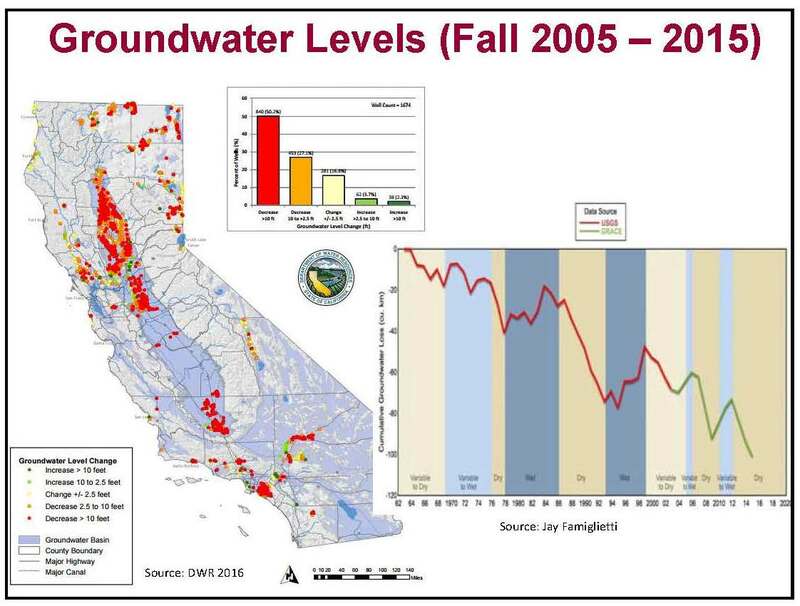 Ms. Cooley noted that California is prone to multiyear droughts and that a number of actions have been taken over the last several decades at the national, state, and local levels. National: The federal government adopted standards in 1992 for toilets, shower heads, and faucets that really set the framework for future efficiency improvements. In addition, the federal government launched Water Sense in 2006, a labeling program to help consumers make more informed decisions about the types of appliances and fixtures that they will be installing in both homes and businesses. Both of these things have helped California, she said. Local: Many utilities draw up contingency plans as part of their urban water management plans. They’ve been implementing programs and investing in water conservation and efficiency, since the early 90’s and in some cases even earlier, and they’ve also been investing in local storage and in-use supply, she said. “All of these actions have really provided a good foundation for responding to the drought,” said Ms. Cooley. 1. Expand the breadth and scale of efficiency programs. 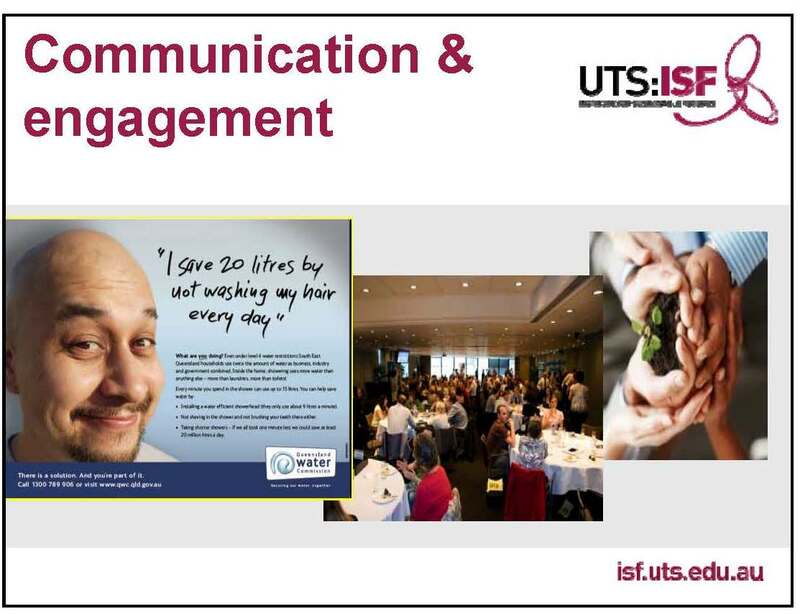 For example, in Sydney launched a ‘water fix program’ that reached nearly a third of homes in the Greater Sydney area. Under this program, licensed plumbers would perform a household water audit, check for and repair leaks and install efficient devices such as dual flush toilets or faucet aerators. Within this program, customers paid about $16 for the audit, plus an additional amount for any of the services rendered; they could then repay the water utility for these services over a 4 month period. “As I mentioned, this was a very successful program. They were able to get into an upgrade about a third of the homes in the Greater Sydney area. 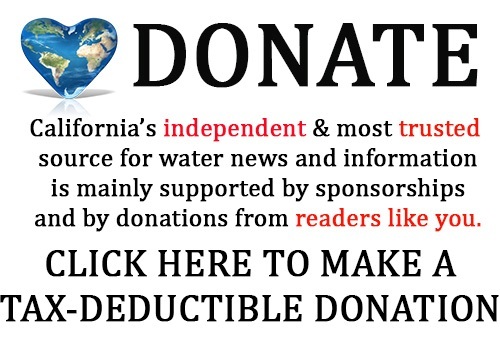 It was an important component of responding to the drought,” she said. In Queensland, a number of nonresidential programs were implemented. 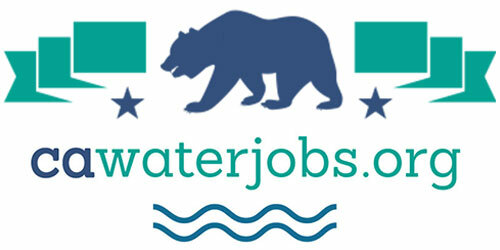 Businesses that used less than 8 acre feet of water were required to install water efficient devices such as high efficiency toilets; businesses using more than 8 acre-feet were required to develop water efficiency management plans that accounted for their water use and that identified measures to reduce water use by 25 percent; they then had a plan to implement these measures. As part of this program, fines of up to $90,000 were levied for noncompliance. However to assist with compliance, rebates and incentives totaling 2.2 million dollars were provided to more than 2000 customers. 2. Balance supply and demand management using a least cost planning approach. 3. Use a readiness approach. California water systems are highly fragmented, making it difficult to coordinate an effective drought response; Australia generally has far fewer water utilities. However in some regions, they did have a number of utilities that were responsible for providing water, such as in South East Queensland where there were more than 20 councils that provided water service. The Queensland government established the Queensland Water Commission to try to provide overarching policy planning and regulatory functions, which then allowed for better coordination. 5. Address pricing and short-term revenue losses. 6. Improve data monitoring and measurement. Question: When Dr. Stuart was speaking to supply and demand, someone had a question on, what exactly is deep water? Question: In Australia, is water conservation effort combined with land use management efforts? What was the procedure related to giving a permit for water use for new urban development? 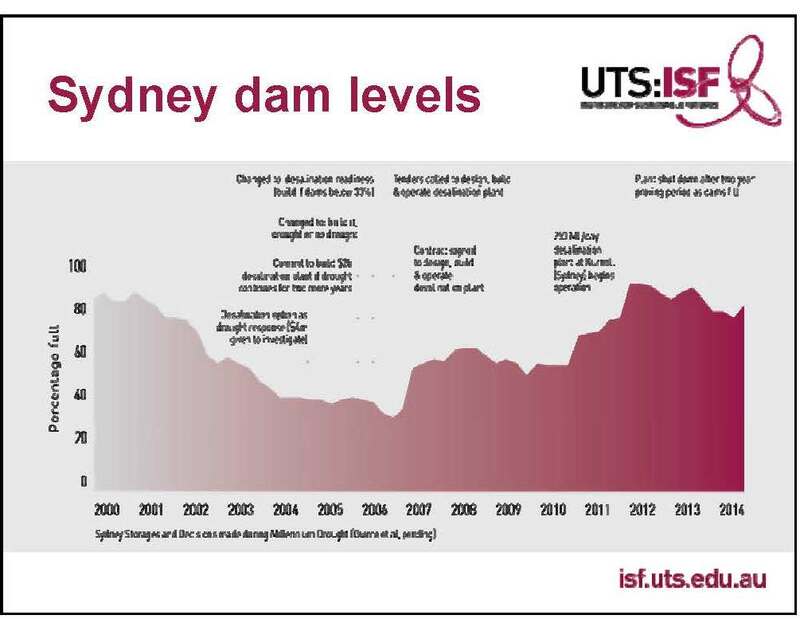 Question: In Australia, how did the drought impact the relative water allocation to public supply, urban versus agricultural uses? Question: How was fee structure used, if at all to reduce demand? 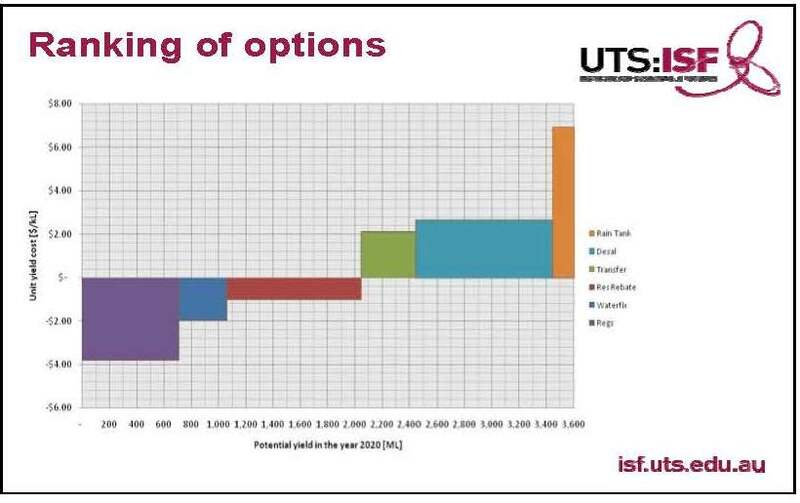 Question: Could you explain why 4th generation infrastructure would be less costly than first generation? Question: Was there any work undertaken to minimize, unaccounted for water leakage by the water providers? Question: Were there water quality challenges and if so, could you discuss how you may be addressed them? 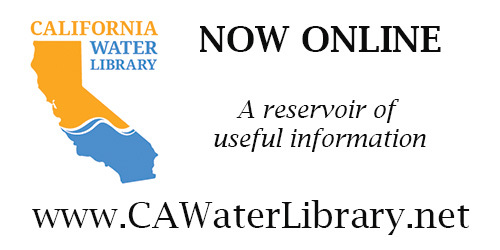 Question: What is the current post drought per capita water use? “While the level of demand has gone up slightly, it has not bounced up to anywhere near what it was before,” said Dr. Stuart. 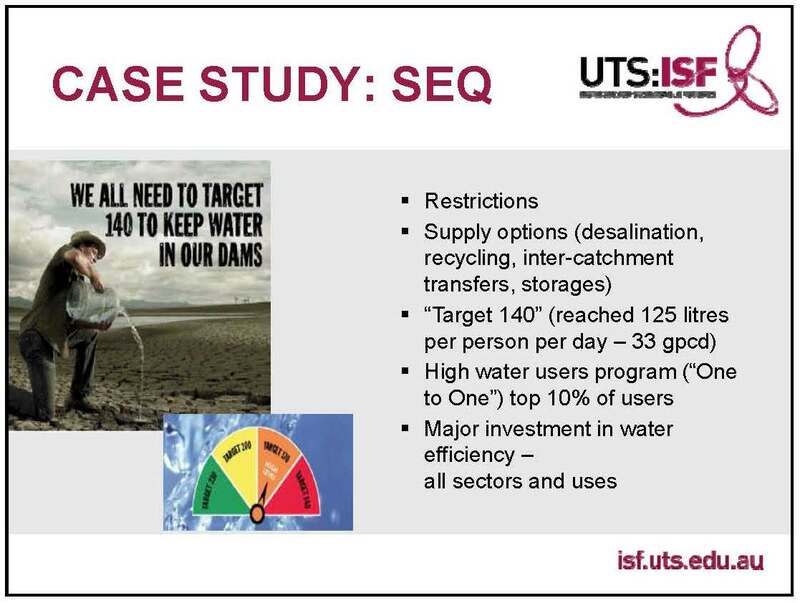 “For example, in South East Queensland, the target 140 was overshot to be 125 liters per capita … I think it’s gone up to around a 170 liters per person per day whereas previously it was 300. While it’s gone up slightly, it’s nowhere near what it is was before. There has been a irreversible one time structural shift in water use as a result of the measures that were implemented. Question: What is the status of the 6 desal plants that were constructed? Question: Regarding those desal plants, what impact on water bills for customers has there been with the building of those desalt plants and also on the continued implementation of conservation, since the big capital costs need to be paid off by increased revenues? Question: In Australia, do conservation efforts work in conjunction with storm water agencies to capture and reuse water? Question: Were all the water savings based on mandates or were there voluntary reduction successes? 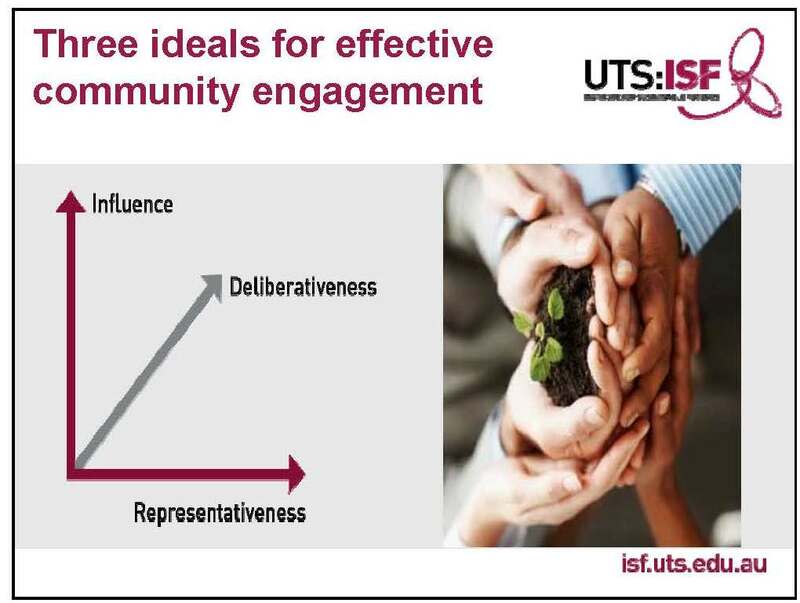 “I’d come back to the idea that if you use communication, education in combination with regulation and in combination with incentives, those 3 together in balance, then you had a much more effective program than if you rely solely on regulation or solely on communication and education,” said Dr. Stuart.